Rediff.com » Business » Want to earn risk-free 8% annually? Investors can earn risk-free income of 6% to 8% annually by lending stocks. For many years, long-term investors had the option to lend their shares and earn risk-free additional income by way of interest. But due to lack of awareness and demand from borrowers, the securities lending and borrowing mechanism (SLBM) never saw any meaningful volumes. This is expected to change soon. The Securities and Exchange Board of India has said that physical settlement of stock derivatives will be made mandatory in a phased manner. At present, equity derivatives are settled in cash, which means the difference between the entry price and exit price is either debited or credited in cash. In the physical settlement, traders will have to take delivery of shares on the settlement day against the derivatives positions. The easiest for a trader to do this is by borrowing stocks from existing investors. "As the market regulator implements physical settlement of derivatives, more and more traders will have to borrow shares to meet their obligations," says Umesh Mehta, head of research, SAMCO Securities. "It means, more brokers will now offer services to investors to enable them to lend shares for a few days and earn interest. For lenders, it's risk-free money as the regulations around SLB is strict and exchange controlled," Mehta adds. Any investor that has long-term holdings sitting idle in his demat account can lend shares by approaching his broker and filling up the forms and submitting the required documents. Once the forms are signed and relevant proofs are submitted within two weeks an investor can start lending shares. As a lender, you can place an order with the broker mentioning the stock, quantity to lend, period, and lending fees you expect on a per share basis. Similarly, the borrower, too, places an order mentioning the stock, time, quantity and the lending fees he is ready to pay. The orders are matched on the exchange, and the transaction takes place. The lender is asked for 25% of the total amount of stock s/he is lending immediately to ensure that s/he doesn't default after saying a yes. 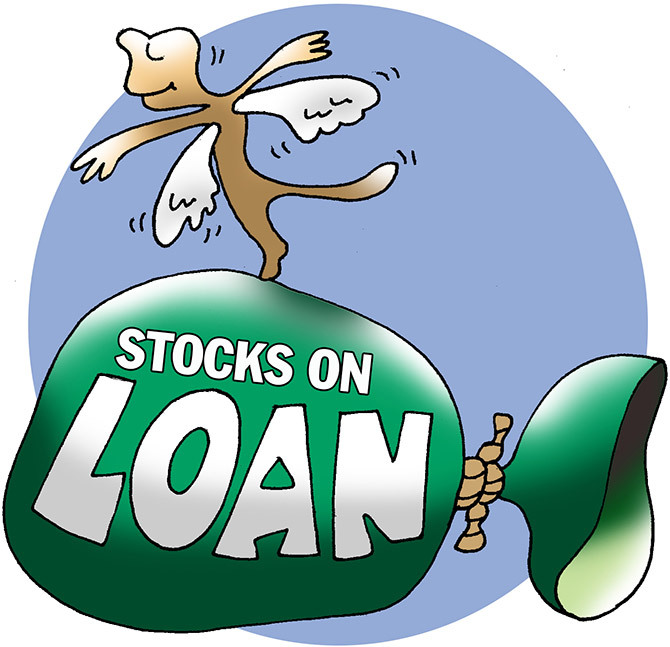 To ensure there is no default from the borrower, s/he is asked to bring in 125% of the stock value s/he is borrowing as margin, and also lending fees over and above the margin. There is also monitoring of mark-to-market losses daily to ensure the borrower doesn't default. At the end of the contract, the lender gets back the stock and borrower margin is released. In case the borrower wants an early repayment or lender wants an early recall there is a mechanism to do so. The borrower would place an early repay request with the fees s/he is willing to receive, and the lender would place an early recall request with the fees s/he is willing to pay. Market participants believe that SLB holds huge potential for investors. "An investor gets to earn a small interest on idle shares without taking any risk," says Venu Madhav, COO, Zerodha. At present, investors can expect an average annualised interest of 6% to 8%. But as the market develops for SLB, this would come down. Mostly, the stocks are borrowed for up to 30 days. The SLBM also has provisions to take care of corporate actions such as dividends, bonus, stock split and rights issues. The lender doesn't need to worry about any of it while the stocks are with the borrower. Say, if a company is paying a dividend, the borrower will collect it and pass it on to the lender.